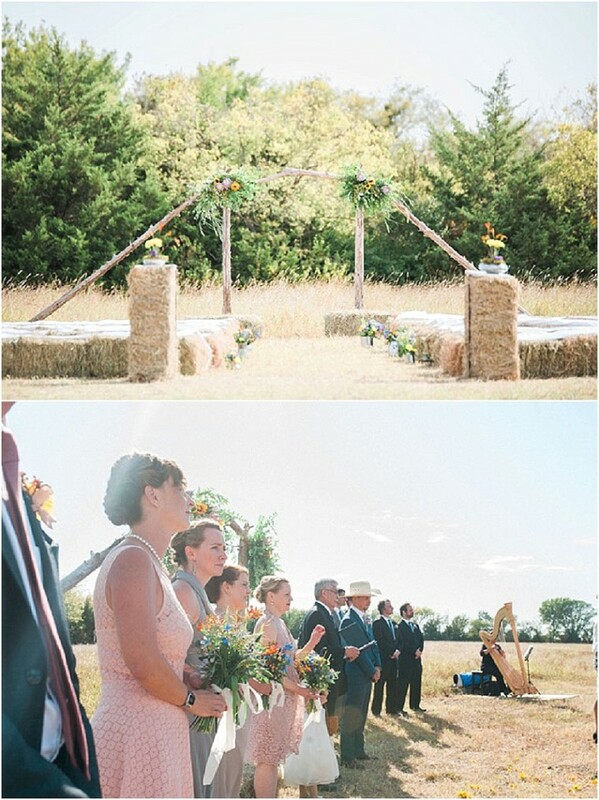 This farm inspired Dallas wedding sent to us by Cloud Creative Events manages to look elegant and cozy at the same time. 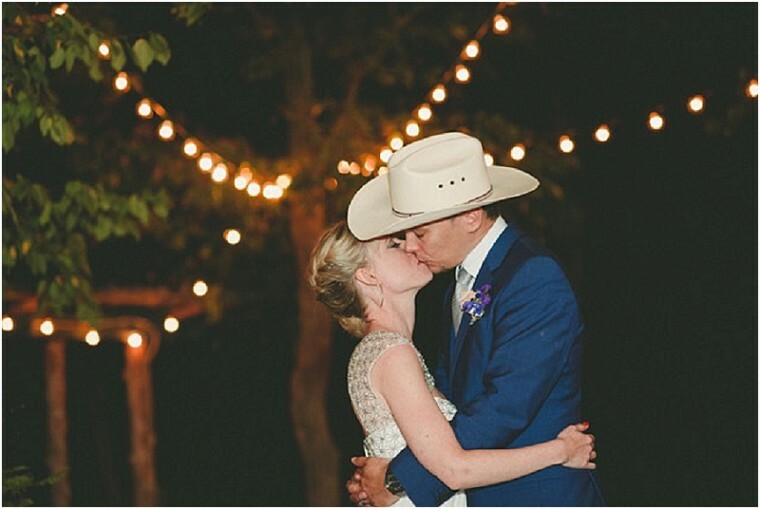 The venue was the bride's grandfather's farm, and the happy couple did a wonderful job of embracing and celebrating their location. 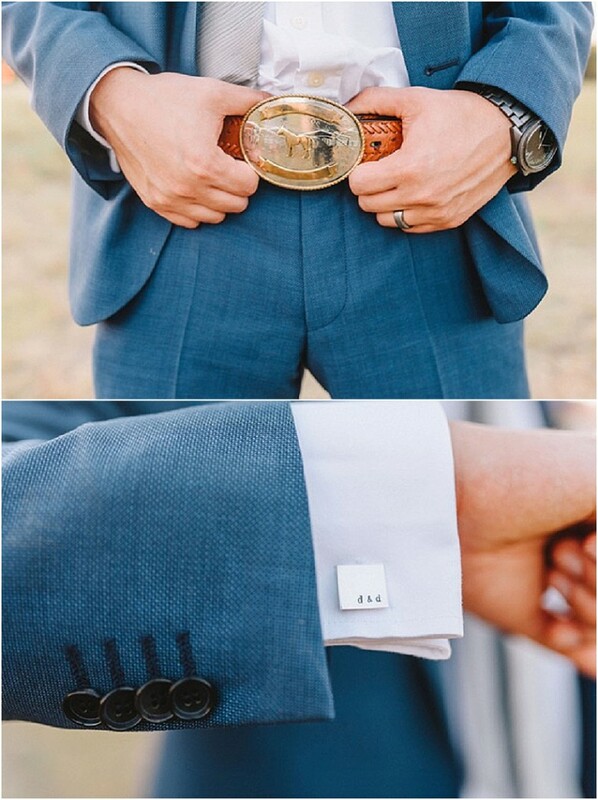 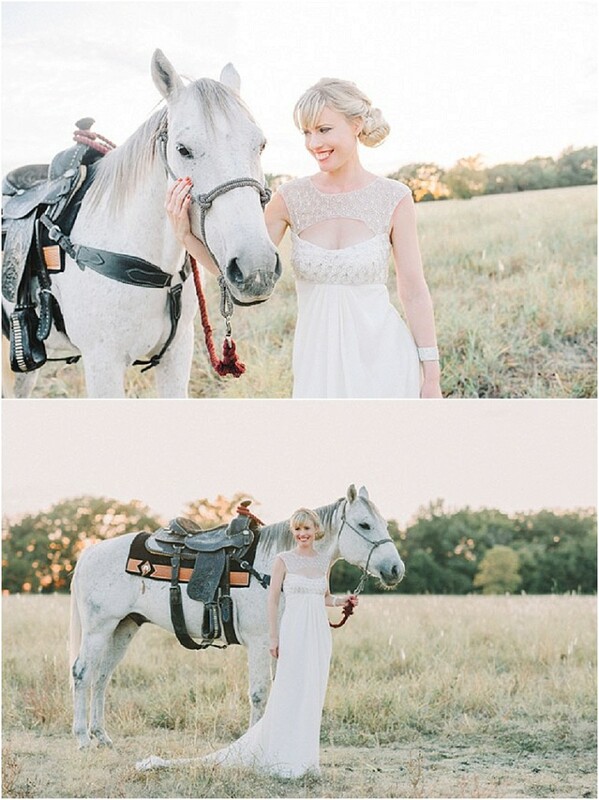 Clearly both the bride and groom are fans of horses. 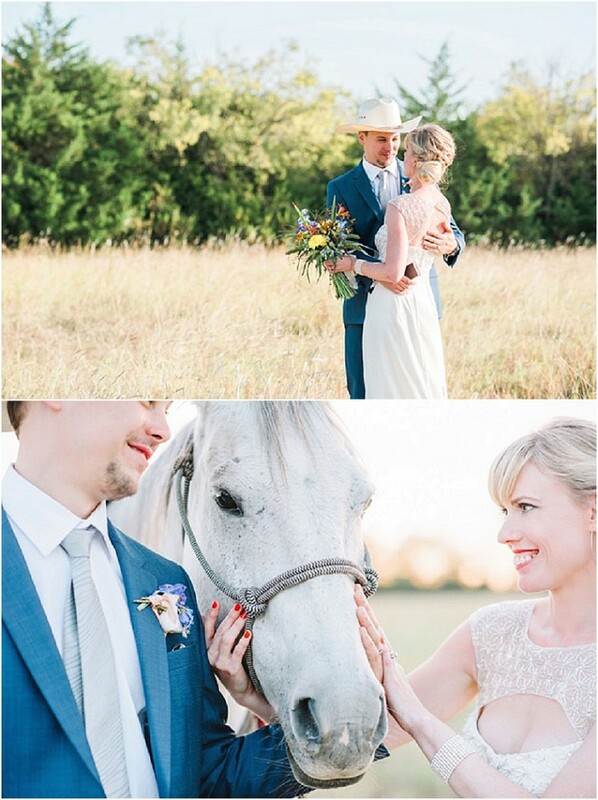 Horses pop up in photos with the delighted bride, a fantastic belt buckle for the groom, and a horse drawn carriage that transports the bride to the ceremony. 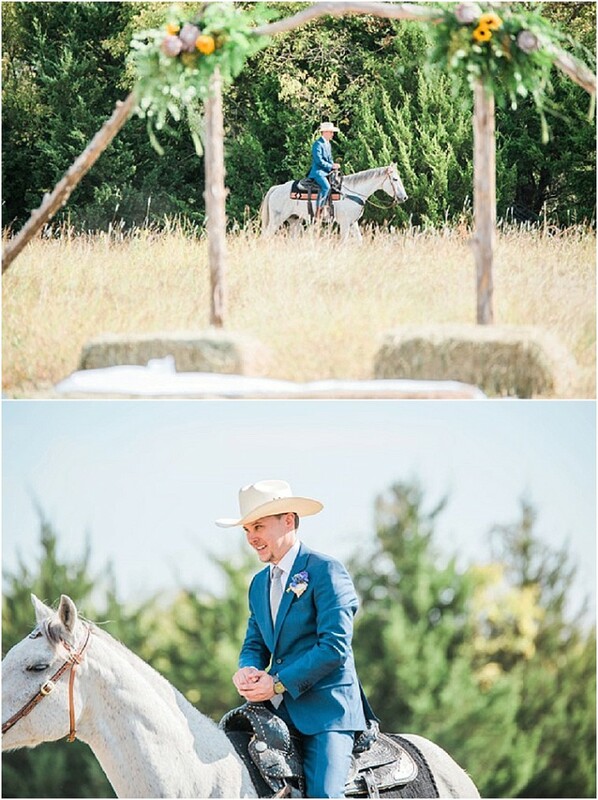 From Cloud Creative Events...Dianna contacted me three months before her wedding date with nothing more than a venue and a concept for her wedding. 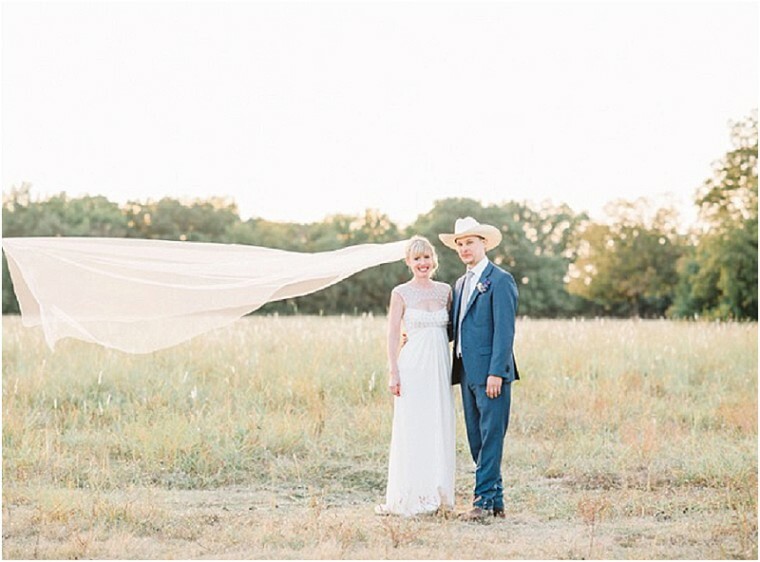 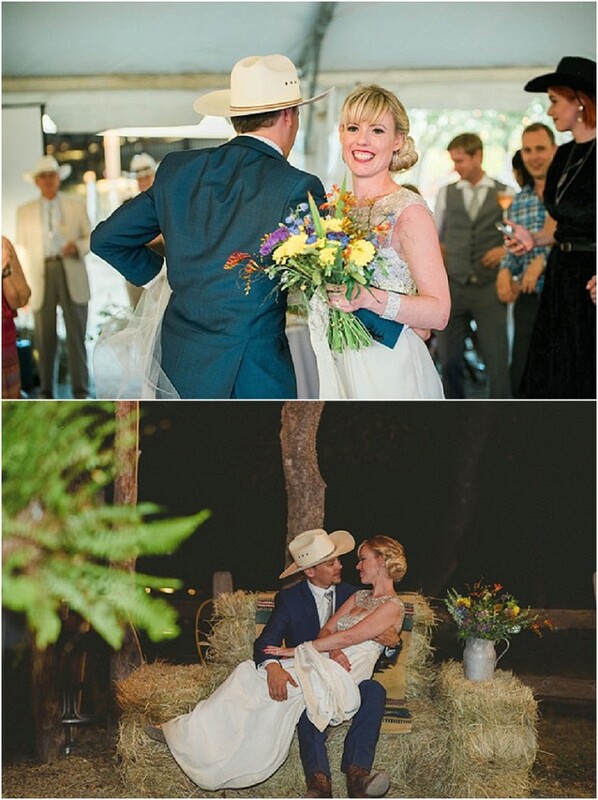 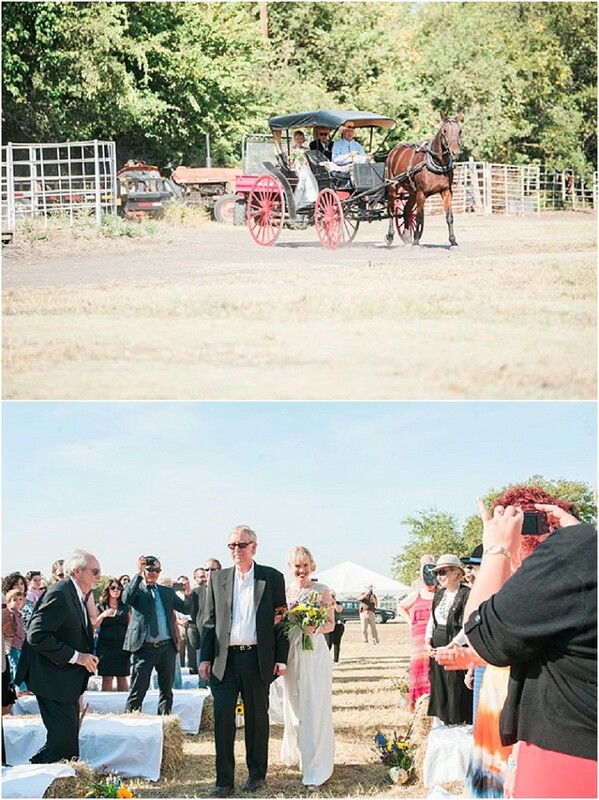 She had a distinct vision of wanting to get married on her grandfather's farm in Ferris, Texas and have her own horse involved in the ceremony. 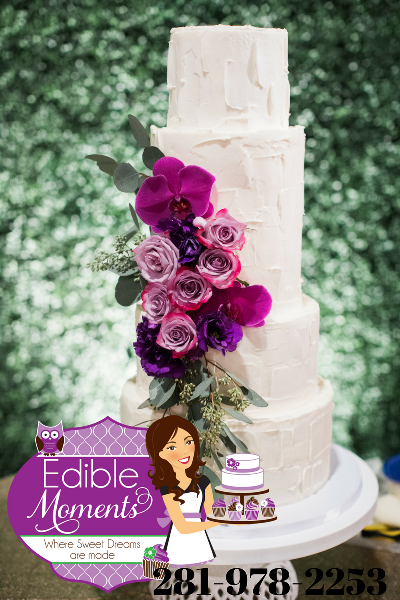 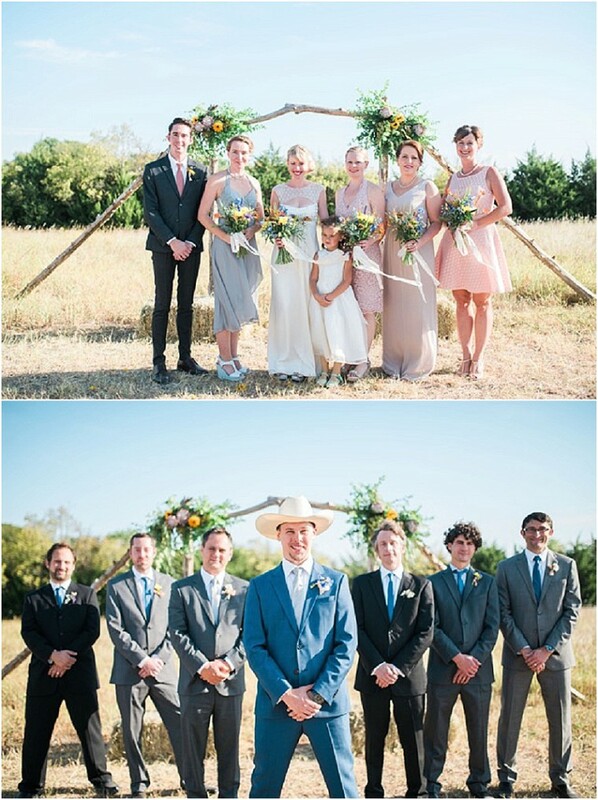 Since her favorite color is white, she went against the grain and decided to not have a color pallet - instead having bouquets that looked as though they were picked from the fields that the wedding was surrounding by. 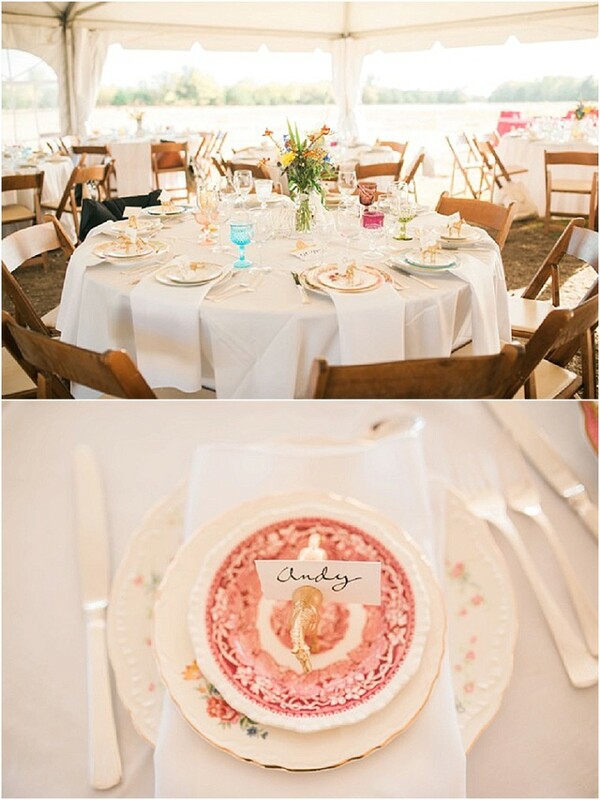 Vintage glassware and plates added a homey touch and hay-bale seating let people lounge around for cocktail hour while a country band played favorites like "You Are My Sunshine". 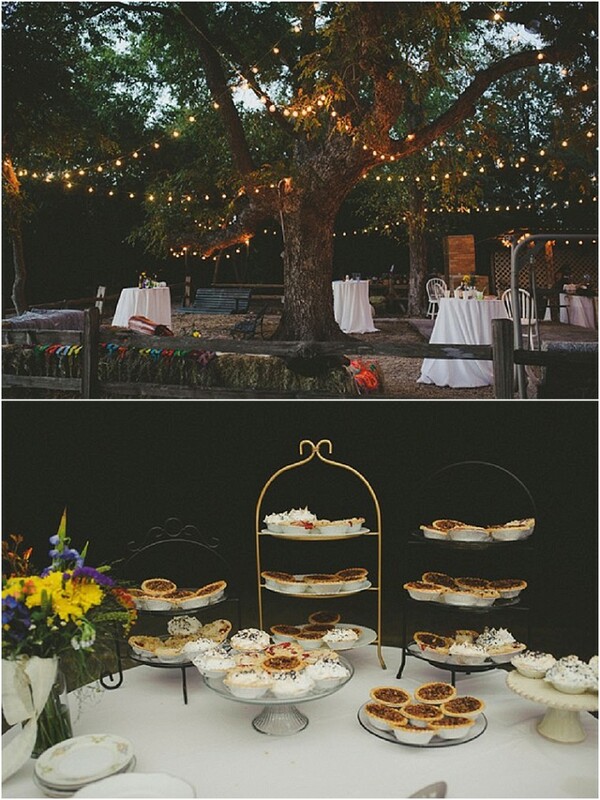 The guests enjoyed a barbeque dinner with pie for dessert, and danced into the night. 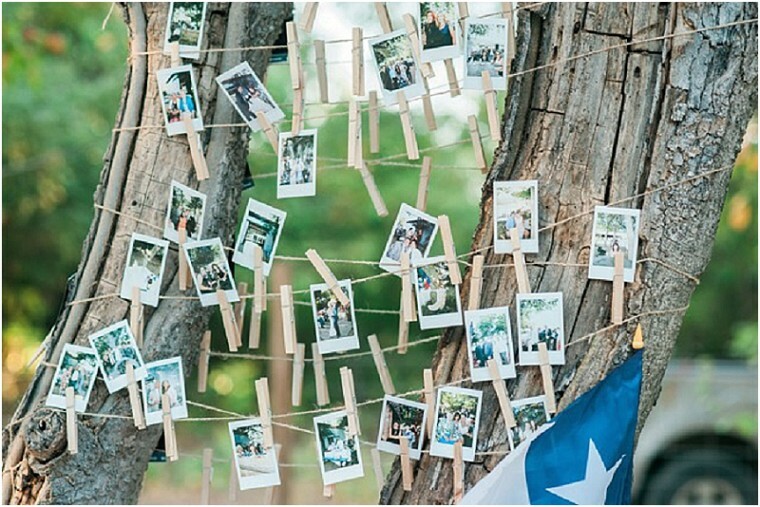 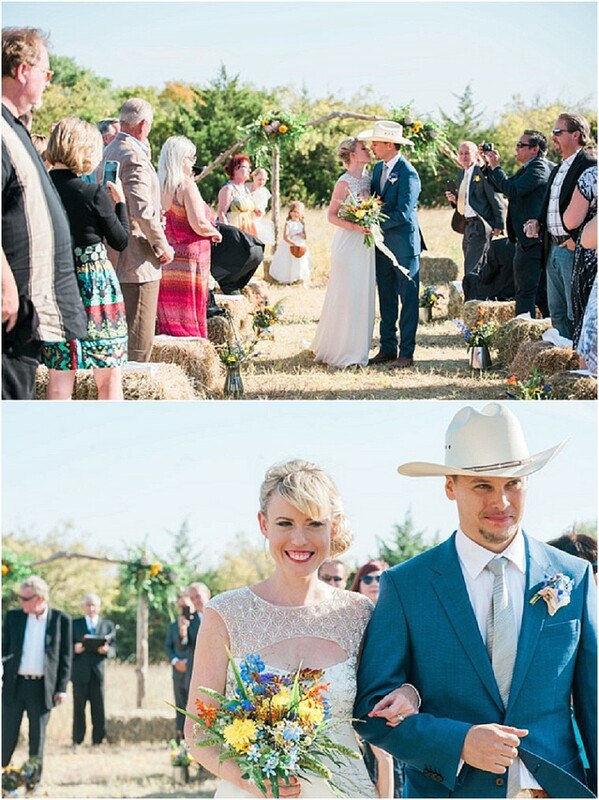 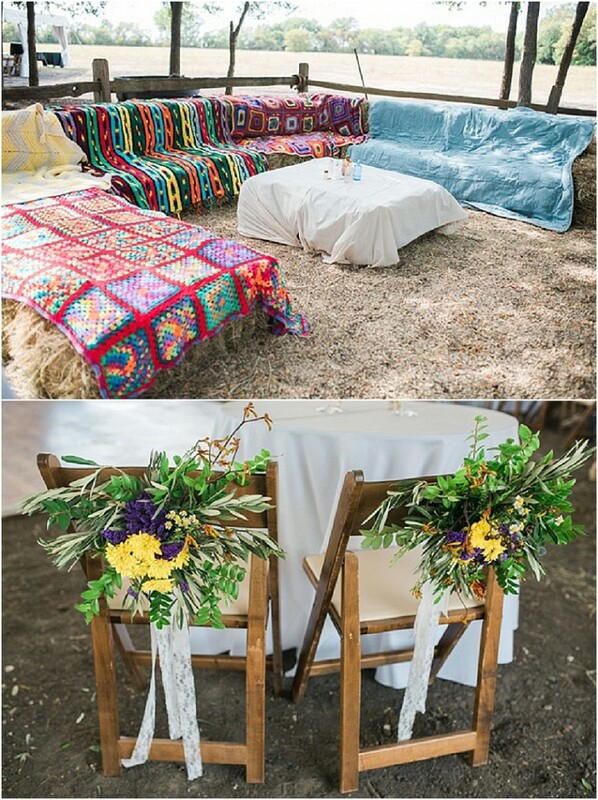 This bohemian rustic wedding is certainly one for the books!